Funky UK boom-bap in the area! 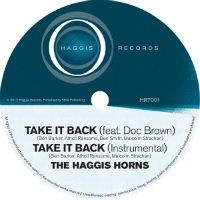 It’s Take It Back, the new Haggis Horns 45 on which the seven-piece have got the groove locked in the pocket while emcee Doc Brown takes to the mic. Can he get a soul clap? Yes! Does he care if this sort of bump is old hat? Hell no – because this is the ‘Horns take on a party-oriented summer single and the first taster of what is to come in the form of their fourth studio album which is due in the early autumn. 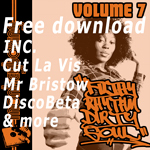 Comes in 45 and digital formats with the instro as the flip on the former and the ‘flip’ on the latter.